When Amazon.com, Inc. (NASDAQ:AMZN) decides to disrupt a market, things can get dicey for established companies that end up in the cross-hairs. We’ve seen that in retail, obviously. In the past few years, the Amazon Echo has turned the wireless speaker market upside down. And AWS — Amazon Web Services — has had a big impact on the data center market. The latest target could be delivery. 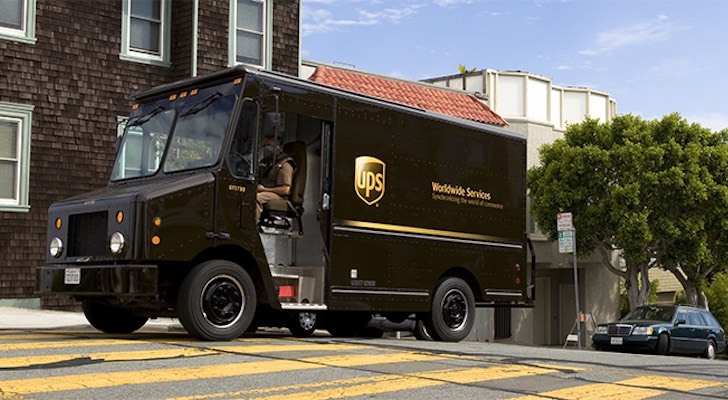 News that the company will begin testing Shipping With Amazon in Los Angeles caused turmoil for shares of FedEx Corporation (NYSE:FDX) and United Parcel Service, Inc. (NYSE:UPS). Reuters reports that Amazon will begin testing its Shipping With Amazon service in Los Angeles. From there, it could expand to other major centers. Shipping With Amazon doesn’t replace the courier or postal truck that delivers a purchase to the end customer. It does, however, replace them at the beginning of the process. The goal is to get products from the seller to an Amazon fulfillment center or to the end delivery service, more quickly and more cost-effectively. To do this, Amazon sends their own truck to pick up the sellers’ products. If the new shipping service is a success, however, it’s not a great stretch to imagine that Amazon might decide to take on the next stage of transportation, and go all the way to door-to-door delivery. That prospect rocked the stock of shipping giants UPS and Fedex. At one point on Friday, UPS stock was down 3.6%, while Fedex took a 4.9% hit — although both have since recovered. That’s not exactly denying that taking over delivery to customers completely could be in Amazon’s future plans. Why Would AMZN Test Shipping With Amazon? There are several ways that Amazon can boost its bottom line — and AMZN stock. It can offer new products or services, like the Amazon Echo. It can cut costs. And it can add more perks that grow Amazon Prime membership. Shipping With Amazon has the potential to address at least one of those three factors: cutting costs. Amazon’s shipping costs have been growing. In 2015, they were $11.5 billion, in 2016, they were $16.2 billion and in 2017, they hit $21.7 billion. Much of that expenditure has gone to Fedex and UPS. According to Business insider, last year UPS snagged 30% of Amazon’s total U.S. shipments. Shipping with Amazon could reign in those rapidly growing costs. As pointed out by Fortune, Shipping With Amazon doesn’t just save money, it gives Amazon greater logistical control over third party sellers. Right now, if a third party seller from amazon.com ships directly to a customer, Amazon loses track of that package. If Amazon took over the shipments — even if it was just getting the box from the third party warehouse to a UPS, Fedex or U.S. Postal Service outlet — that means its can easily track the package and ensure it gets moving quickly. What’s making the courier companies nervous is the potential for Shipping With Amazon to expand into a delivery service that replaces them in delivering packages to the customer’s door. Reuters estimates that would require a $100 billion investment. Amazon has never been shy about investing in infrastructure if there’s a long-term payoff, however. AMZN stock has seen over 60% growth over the past year. Shipping With Amazon isn’t an amazing new product category, but if it’s successful, it could prove to be yet another reason AMZN stock continues that growth. Article printed from InvestorPlace Media, https://investorplace.com/2018/02/shipping-with-amazon-hits-ups-fdx/.